Ft. Craig sits on the western side of the Rio Grande. 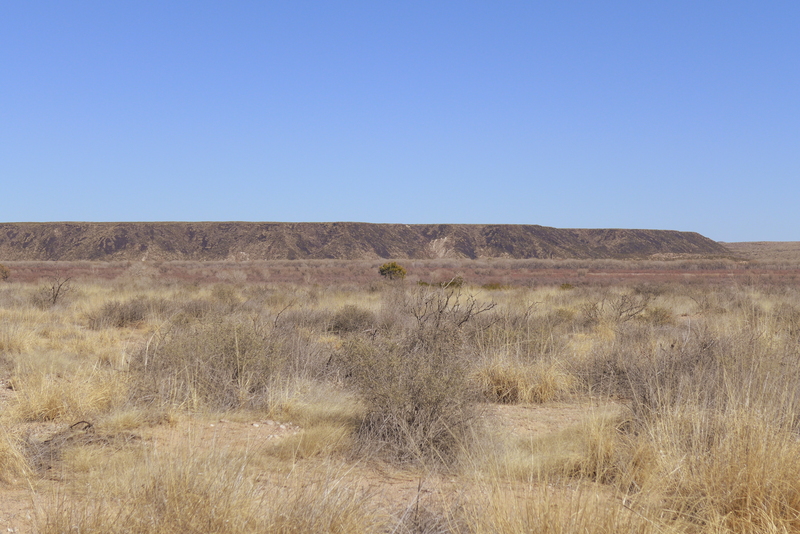 In this photo the river is hiding below that dark line, where the land drops to the river’s level, and soon rises to the mesa on the other side. 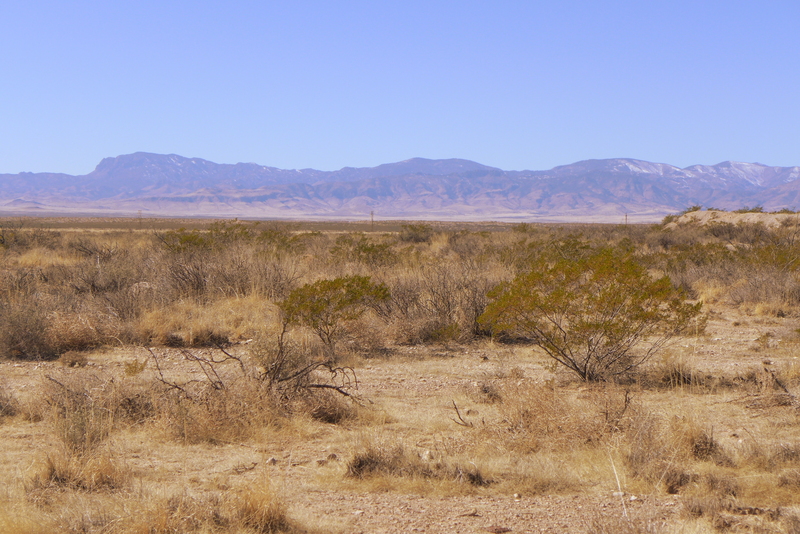 To the west, there is mesa for some distance to the mountains. These mountains are one set of geologically recent protrusions which have pushed up at intervals, scattered across the landscape. This view is taken from a lookout site at the top of one of the large storage structures. These photos are closer to what I experienced as the color of the land and bushes than the ones I posted in my previous post. And to the north is Black Mesa. On the north side of Black Mesa one of the important battles of the Civil War in New Mexico took place. The site is Val Verde, a set of arroyos and streams that drain into the Rio Grande. 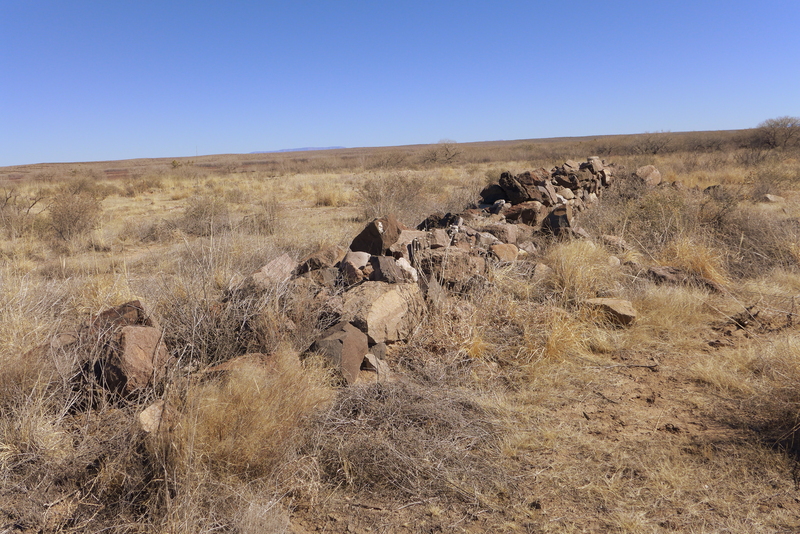 The Confederate troops came up the eastern side of the mesa; the troops from Ft. Craig went up on the western side. 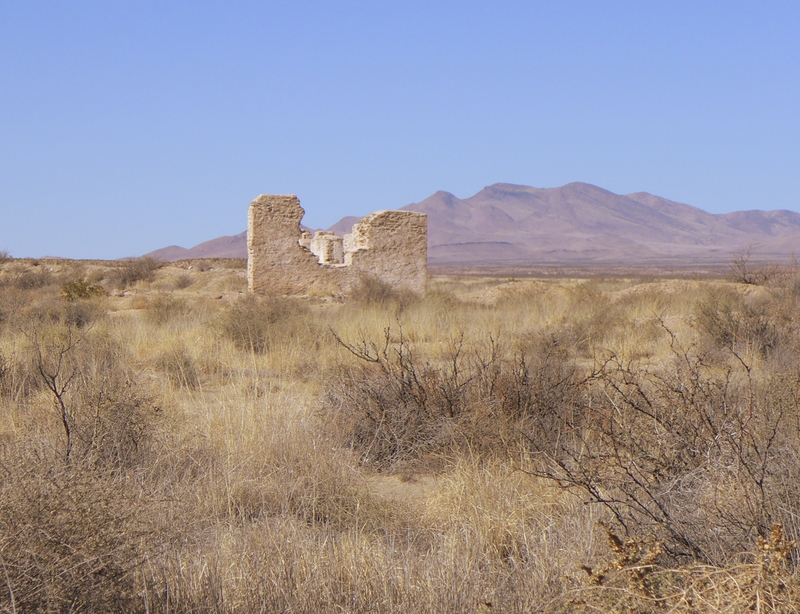 While the regular soldiers fought, New Mexico Volunteers, led by Kit Carson, held the fort. The South won the battle, but the New Mexicans would not give up the fort. The Confederate troops did not have enough resources to lay siege, so they withdrew. The Battle of Val Verde took place on February 21, 1862. On March 28 that same year, the Confederates lost a battle at Glorieta Pass, near Santa Fe, and their push to control the west was over. I wondered why the New Mexicans were so supportive of the government from far away. I was told it was because the Texans had already made a grab for New Mexico land earlier. This rivalry continues. I heard two instances of it just last week. In a meeting about education in the state and financing, the new PARCC testing was discussed. This testing is created by the Pearson company. How much are they benefitting from adoption of this testing? The question was asked “How much money is going to Texas?” where Pearson is based. New Mexicans around here go down to El Paso often. Some even work there. But they still like to put down Texas. After all, the Texans did try to take our land.